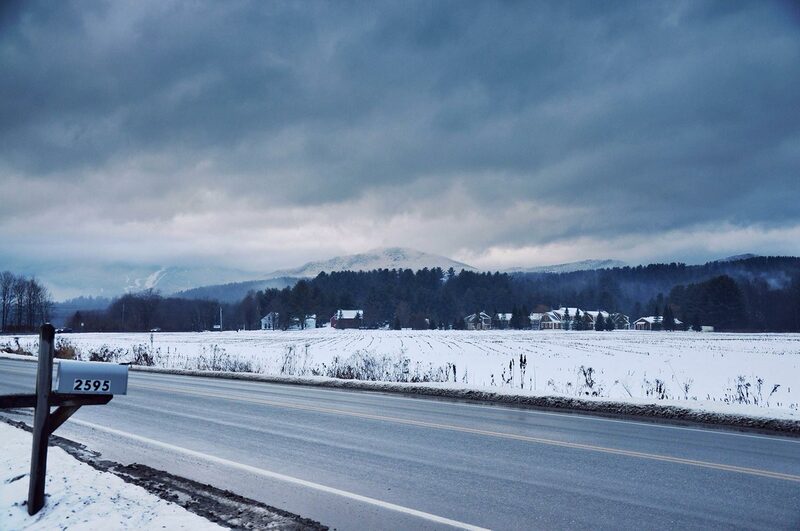 Nestled between mountains in the state of Vermont, Stowe is easily accessible and well worth the drive. Winter has finally settled in for the long haul. And while the first snowflakes do hold some excitement, the also mark the beginning of what many Montrealers consider a time to cuddle and watch movies. In an effort to avoid falling into a complete vegetative state during these cold winter months, one must seek out unique and interesting activities. Some people enjoy downhill or cross country skiing, while others enjoy skating or outdoor running. For those who are perhaps less sporty, checking out Igloofest might be more to their taste. For others still, only a week down south can do the trick. And for those who like myself enjoy the peace and quiet of the country, a weekend far from the city might just be what you need. 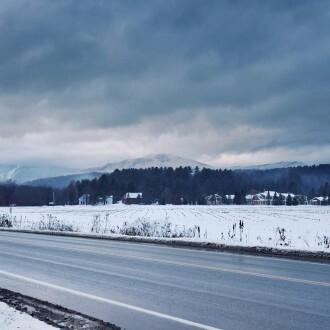 That’s why just the other day, I chose Stowe Vermont and their snowy hills for my weekend vacation. 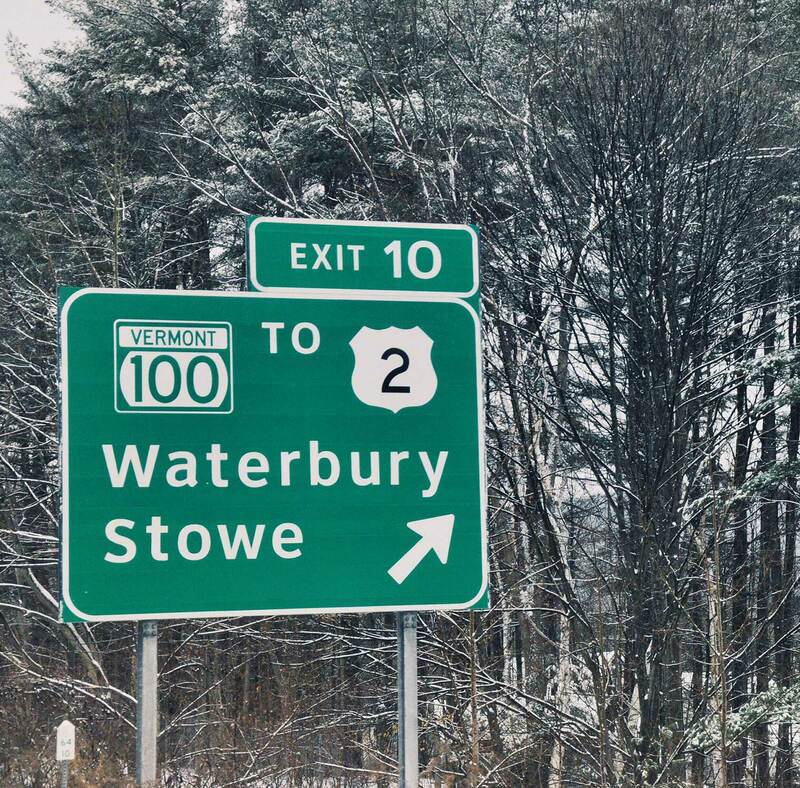 Nestled between mountains in the state of Vermont, Stowe is easily accessible and well worth the drive. The charm and character of this town can be found in any of the many boutiques, B&Bs, spas, taverns and restaurants that line its streets. And among the many things to do while in Stowe, a stop at the ski station atop its highest mountain is a definite must. 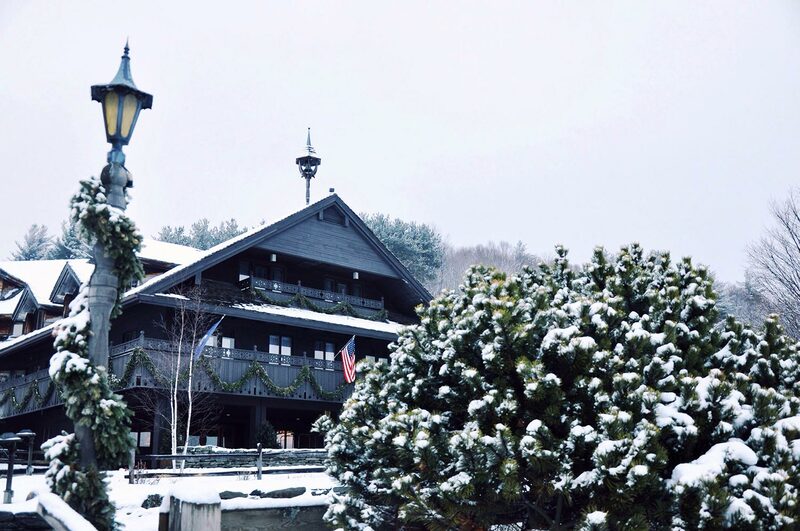 Here are my suggestions for a winter weekend away at the bottom of mount Mansfield. 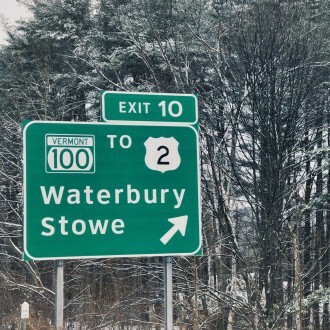 From the historical Trapp Family Lodge to B&Bs, chalets and beautiful inns, there’s a little something for everyone in Stowe. This is the historical home of the Trapp family and inspiration of the well loved film The Sound of Music. It is an absolute must see. Here we find numerous coffee shops, boutiques, restaurants and pubs. As well as, a cute covered bridge and river. At first glance this might look your typical small town sports bar complete with pool tables and big screen televisions. But it is this in combination with their fireplace and wonderful selection of beers that make it a cut above the rest. Plate is a small and charming restaurant on Main St. that offers up local Vermont flavours in a refreshing style. Special mention goes out for their Chinese bbq grilled chicken wings. Local brewery located 10 miles north of Stowe.